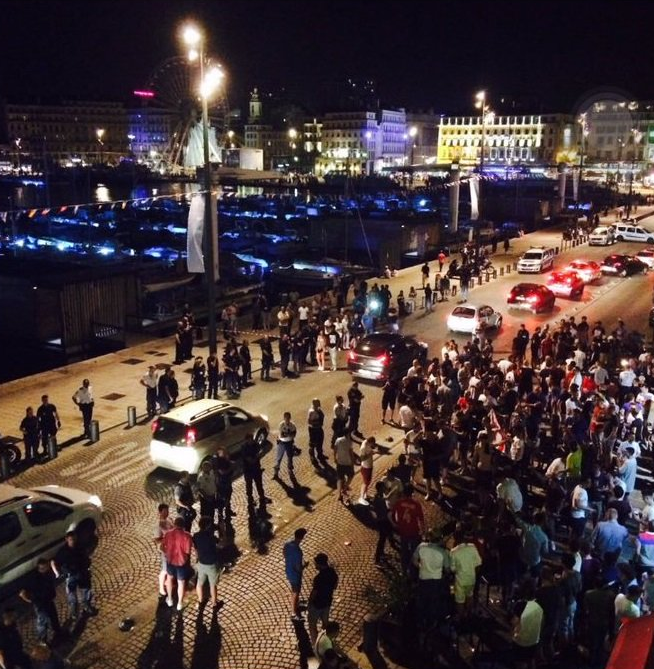 French police were forced to use tear gas to disperse English football fans after violent clashes broke out with locals in Marseille ahead of the opening of Euro 2016. Police said two English fans had been arrested and another had suffered a head injury in the brawl after being hit by a wooden chair. Eyewitnesses reported the English fans had been attacked by a group of local men as they drank outside the city’s Queen Victoria pub. 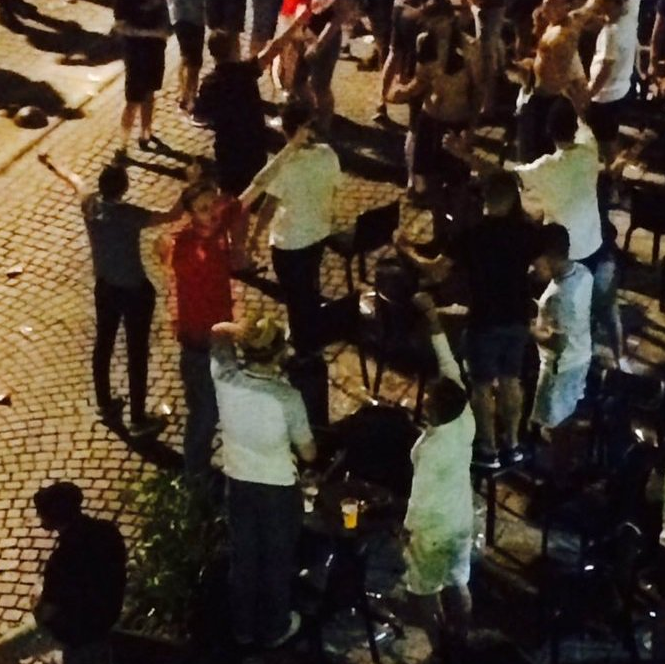 Other reports suggested England fans were heard chanting “Isis, where are you?” before trouble began. 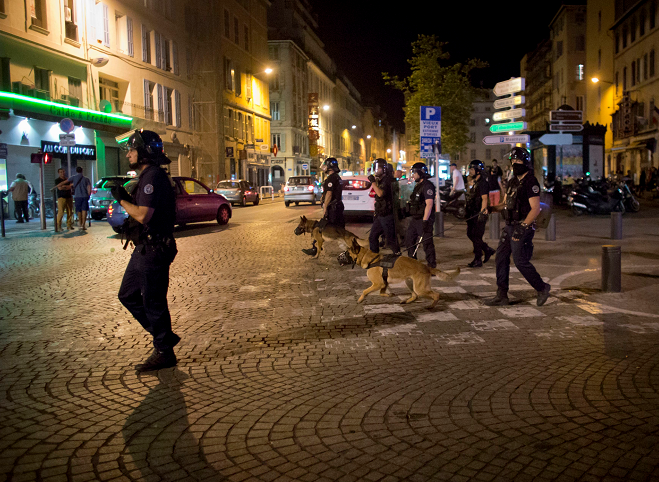 Armed police were deployed on the streets with riot gear and dogs after the violence flared up shortly before midnight. Supporters have travelled to Marseille ahead of England’s game with Russia on Saturday while France open the competition this evening when the take on Romania in Saint-Denis, north of Paris. Some 70,000 UK fans, many without a ticket, are expected to descend on the city over the next few days.